It is essential to moisturise your hair regularly as continuous exposure to sun, pollution, hair styling and colouring can leave it dry and frizzy. 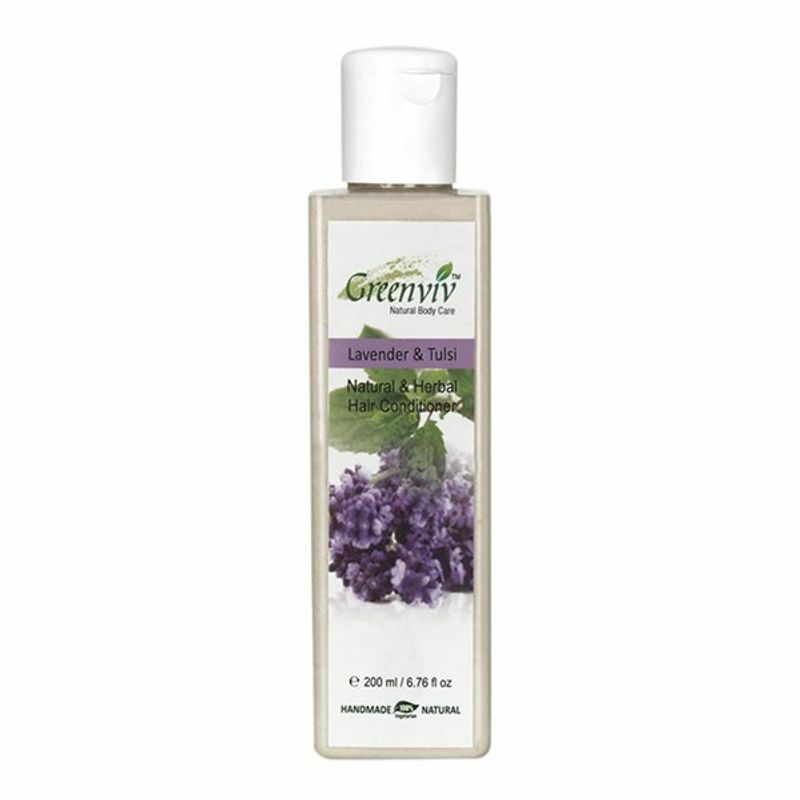 Use Greenviv Natural Lavender & Tulsi Hair Conditioner every day for smooth and lustrous hair. It replenishes moisture and smooths dry, frizzy hair. Get smooth and nourished hair within minutes of applying this conditioner.